As the old saying goes, quality is always better than quantity, especially when it comes to content creation. It makes sense: By investing in more research and resources into one stellar piece of content, your communities will trust that you will continue to produce pieces of the same echelon. Last month a New Breed blog post hit the trending page of GrowthHackers for the first time. 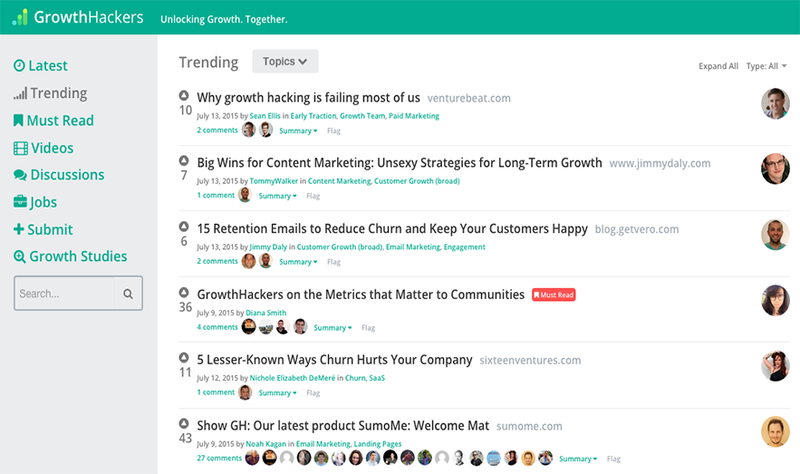 If you're not familiar with it, GrowthHackers is a community of growth-driven marketers who use the forum to share best practices, strategies and insightful content. In today's post, we'll cover how we did it and what the results were. In the process, we'll provide some insights into how you can replicate this success for your business. 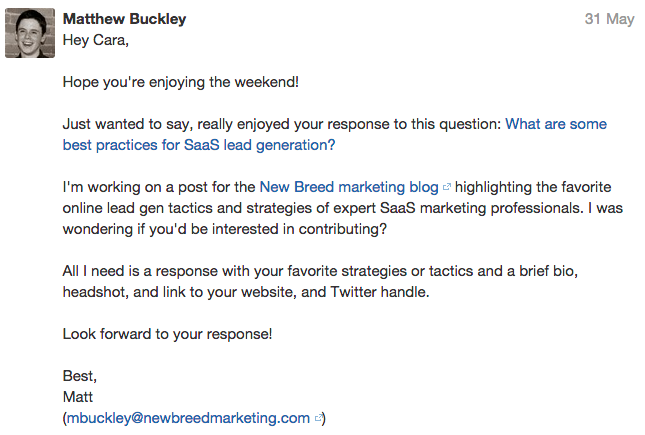 The post we shared was a crowdsourced post highlighting 13 SaaS marketing professionals and their favorite lead-generation strategies. The greatest challenge of compiling a crowdsourced post is finding enough willing contributors to make the post valuable. On the other hand, crowdsourcing content is a great way to adhere to limited resources while involving your target audience and communities. When you pass the mic to your partners, customers, potential customers, thought leaders and community members, more people will become engaged with your content. This is what fuels the featured trends on sites such as GrowthHackers. To write the post, I reached out to some key influencers and marketers who I really respect over Quora and email and also solicited responses using HARO. One of the greatest benefits of featuring these experts was leveraging them for promotion. After the post was published, I reached out again to all of my contributors and included a link to the post. I also included a link to GrowthHackers and asked if the experts would be willing to give it an upvote. Not everyone did, but it certainly helped with the initial push toward trending. If you want to learn more about crowdsourcing your posts, I recommend checking out this post from Neil Patel: How to Leverage Crowdsourced Content to Exponentially Grow Your Audience. Looking at the GrowthHackers traffic alone, we can similarly see the large immediate spike, followed by the lower spike in the following week. The immediate spike resulted from the initial trending. The traffic dropped off and then picked back up because of the weekend. The second spike resulted from additional upvotes on GrowthHackers, moving us back up the trending page. Additionally, we saw a huge uptick in direct traffic on Monday. I'm still digging into why this happened, but if you have any ideas you'd be willing to share, let me know in the comments below. It also had a view-to-share ratio of 29 percent. That's a 1,335 percent increase over our average! Time-on-page was also 252 percent greater than the average time-on-page across our blog on the whole. Needless to say these traffic and social results are great, but what's most important to me is how this contributed to our lead-generation efforts. I was really happy to see just how high the quality of the resulting leads were. Not only did we generate 14 new leads from the referral traffic, but also the leads that have viewed that post are converting to MQLs at a rate 234 percent higher than our average rate. Of course, GrowthHackers might not be the best forum for your business. But it's clear that you can drive business results by finding the digital watering holes of your potential buyers and creating quality content that can be featured in these locations. Just take Bizible for example. One of its posts that trended on GrowthHackers contributed more than $12,000 in pipeline value. If you're looking for more resources on crafting a strategy to help amplify the success of your content marketing using online forums, check out this great post from Parsehub on how you can rank on the first page of HackerNews and GrowthHackers.